Doors open 90 minutes before start of game. Tickets can be purchased at the University of Nebraska Athletic Ticket Office, online at www.huskers.com, or charge by phone at 1.800.8BIGRED or 402.472.3111. 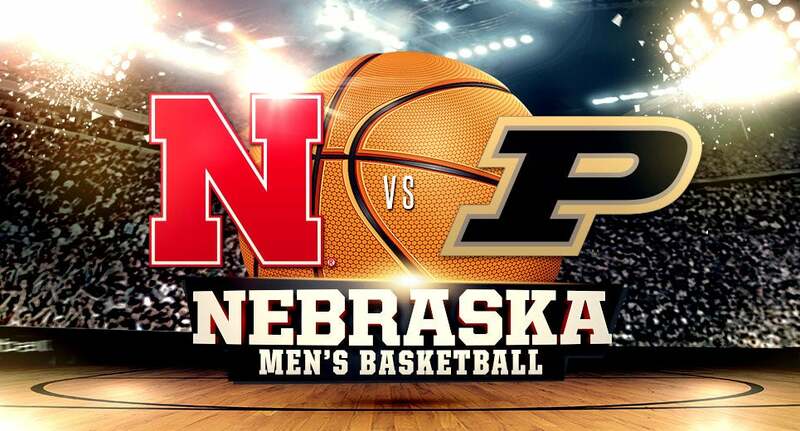 The ticket office opens 1 and 1/2 hours before the game begins and will sell University of Nebraska basketball tickets only. Non-basketball events at Pinnacle Bank Arena will not be available for purchase on game days. The University of Nebraska Ticket Office reserves the right to revoke the license granted by the ticket by refunding the price printed thereon. The Athletic Department is not responsible for lost, stolen or destroyed tickets. Smoking or Alcoholic beverages are prohibited. Date and time are subject to change. 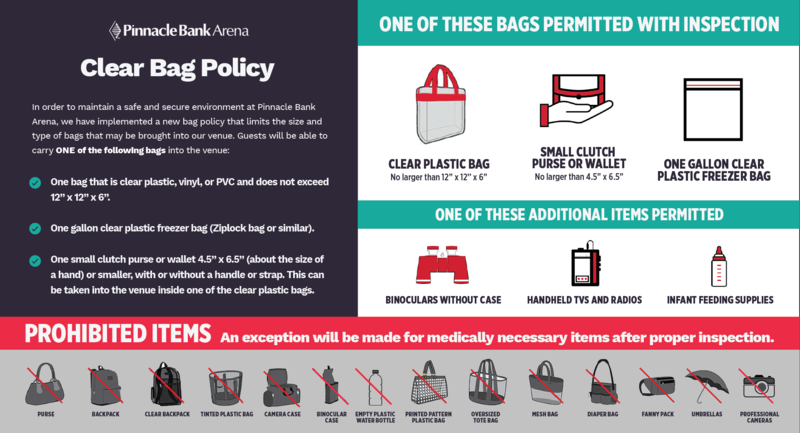 Pinnacle Bank Arena is a CLEAR BAG POLICY venue. CLEAR BAGS and small clutch-sized purses are allowed at entry. 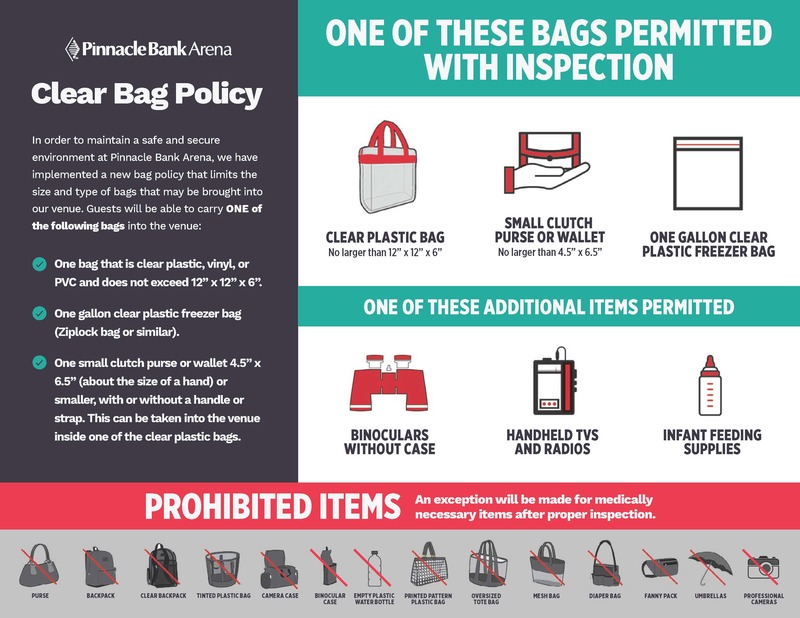 To view clear bag policy and list of prohibited items, click here: http://bit.ly/PBApolicy. Arrive early as fans will be required to pass through security metal detectors upon entry to the venue. Cell phone photos are permitted. No professional cameras or cameras with detachable lenses. No audio or video allowed. No outside food or beverage brought into the venue. No water bottles brought into the venue. No weapons including pocket knives and tasers. These items will be confiscated and not returned. No signs. No selfie sticks. No iPads. 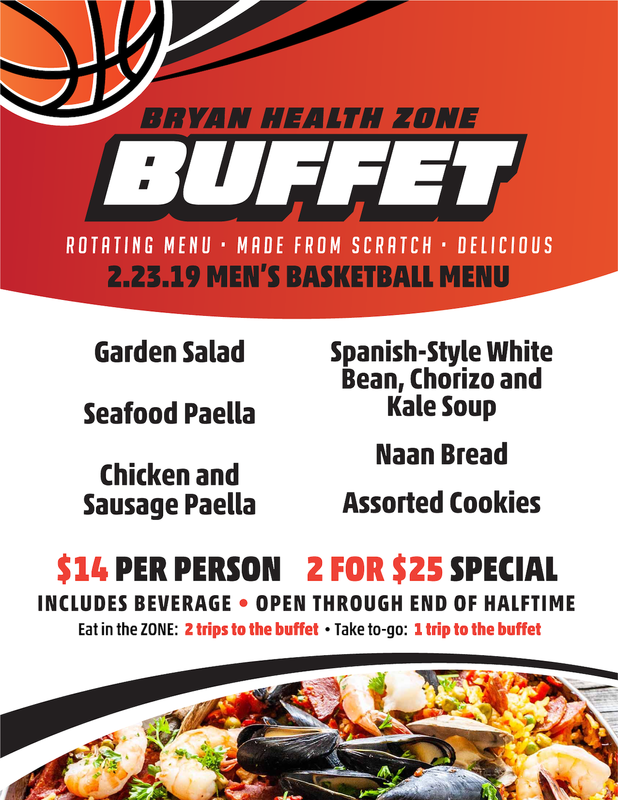 For special accommodations, please call the University of Nebraska Athletic Ticket Office at 402-472-3111.